Fancy spending 10 minutes with a charming 8bit looking MMO? 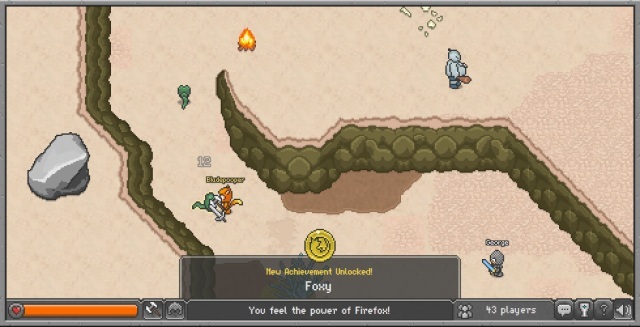 Well now you can, thanks to a neat little browser game called Browser Quest . The game is made by Mozilla and whilst there is only 5 or 10 minutes of “Questing” it’s a nice, relaxed jaunt through what feels like such a familiar world. So simple yet so satisfying, Mozilla’s Browser Quest was made to show off WebSockets which is a way of keeping your browser in constant communication with� the server. Oh and don’t forget to collect your achievements… I wonder if there are any secrets! And if anyone else can point me in the direction of a similar browser game please do.